With Christmas only three weeks away, its time to get your gifts purchased and wrapped so that you’re not frantically rushing around at the last minute looking for the perfect gift. For family, I think that most of us tend to have an idea as to how much money to set aside for the main presents, but the less expensive ones or stocking fillers can often be difficult to find. Sometimes the hardest presents to buy are the ones that don’t cost a lot of money; its all about finding a gift that is great quality but with an affordable price tag and most importantly, something that the person you’re gifting to will use and enjoy. Whether you’re on a strict budget, such as if you’re buying for a colleague for Secret Santa, have a lot of people to buy for, don’t have the funds or don’t want to spend the money on more expensive gifts for family and friends, then I’m sure you’re going to love this post. I’ve scoured the shops to find the best budget Christmas gifts to buy this year. Everyones financial situation is different and let’s face it, Christmas certainly isn’t worth getting into debt over just to get someone something to unwrap. So whether you’re shopping for stocking fillers, looking for a Secret Santa gift for a colleague or simply doing Christmas on a budget, I’m sure you’ll find something here that they’ll love. 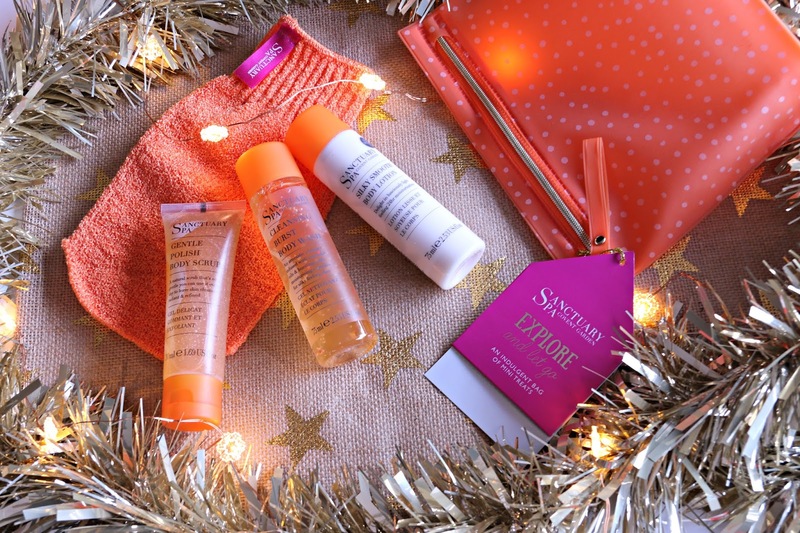 This year, Superdrug have really smashed it when it comes to Christmas gifts on a budget. Plus they’re offering some fantastic deals like 3 for 2 across all cosmetics brands along with plenty of free gifts on specific brands. They have a HUGE selection of gifts both online and in store with many gifts for under £5 and a lot for only £1, especially where the Flutter brand is concerned. If you’re looking for stocking fillers for teens or if you would like to get your friends a few small, affordable gifts to unwrap then Flutter is ideal because they have so many body and bath products for only £1 each, all in cutesy packaging. Most people love a warm bath at this time of the year so the vanilla scented Sweet Snuggles Bath Snow Crystals are sure to be a hit. The Flutter Lip Balm is perfect for soothing chapped lips during the winter months and the Flutter Makeup Sponge is a cute and affordable way to try out the popular makeup sponge application method without breaking the bank. 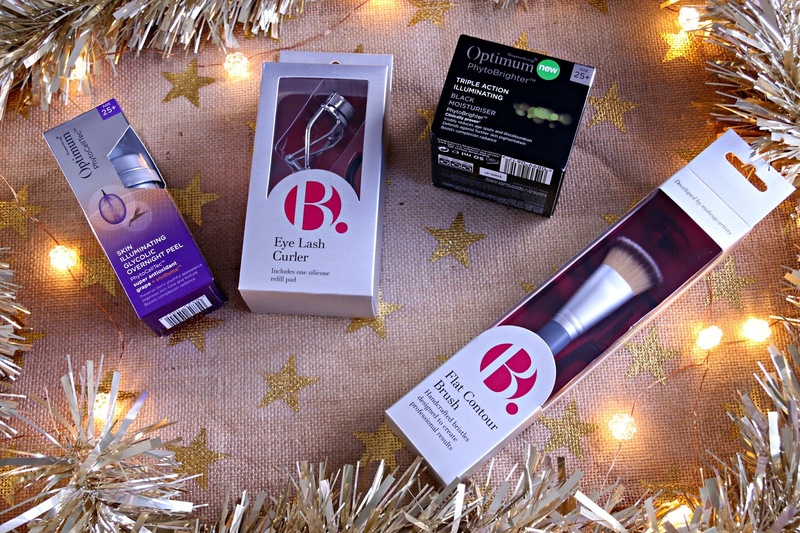 For older teens and women, you can also buy a few small, individual, beauty gifts to unwrap as a present or to pop inside a stocking, just make sure that they’re suited to their aesthetic and what they would actually use; there’s no point in buying someone a set of false lashes just because they’re cheap if they never wear them. If you’re buying for someone who loves to wear makeup then the B. Eyelash Curlers and the B. Flat Contour Brush are a great shout. They’re fantastic quality, will update someones makeup bag instantly and they’re something that could be used daily. When buying makeup brushes, try to look out for ones that they person you’re buying for will actually use so if they don’t tend to go heavy on their contour, skip this brush and opt for a fluffy powder brush instead. If you’re wanting to spend that little bit more, selected Boots stores even have an Emporium where you can buy makeup brushes and have them engraved with a message or name on them. Superdrug have a really great range of affordable skincare which look more luxe than their price tag such as the Optimum Grape Overnight Peel and the Optiumum Phytobrighter Moisturising Cream. These are targeted at different age groups which makes it easier to find a gift that would be suitable for someone else according to their time of life. A few pieces from the range would make a lovely complete gift for someone or one or two wrapped up would be great in a stocking. If you’re buying a few individual beauty gifts but you want to make them go further, you can change them into more of a complete gift for someone as opposed to a stocking filler by adding a makeup or toiletry bag. This works well whether you’re buying for a man or woman as you can simply adjust the products and the bag itself to suit. 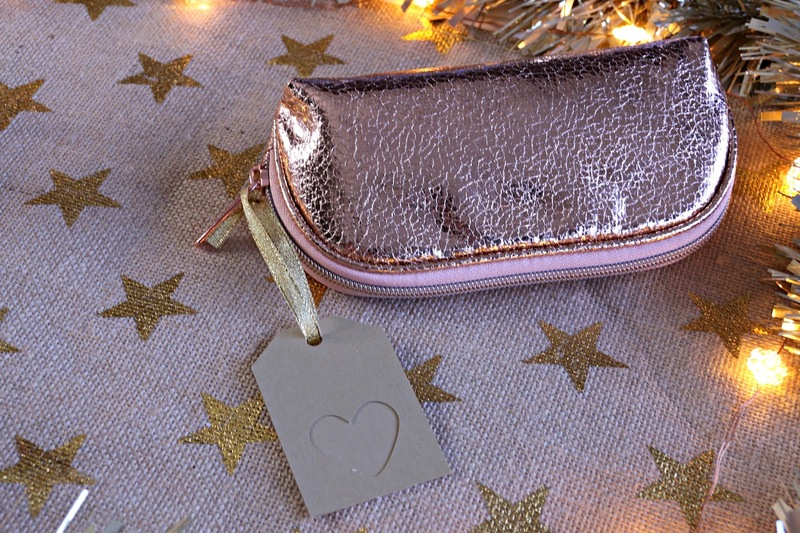 Superdrug have a fantastic range of wash bags that would make great gifts themselves; their different designs are gorgeous, they’re really affordable and they’re available in lots of different sizes. My favourite is the Mermaid Toiletry Wash Bag (theres also a medium pouch and a small one). It has this incredible iridescence to it, loads of space inside and some pockets too. This one would be great for if you’re gifting larger beauty products such as bubble bath. I’ve just packed mine up ready for heading to Dubai and it comfortably holds all of my toiletries! 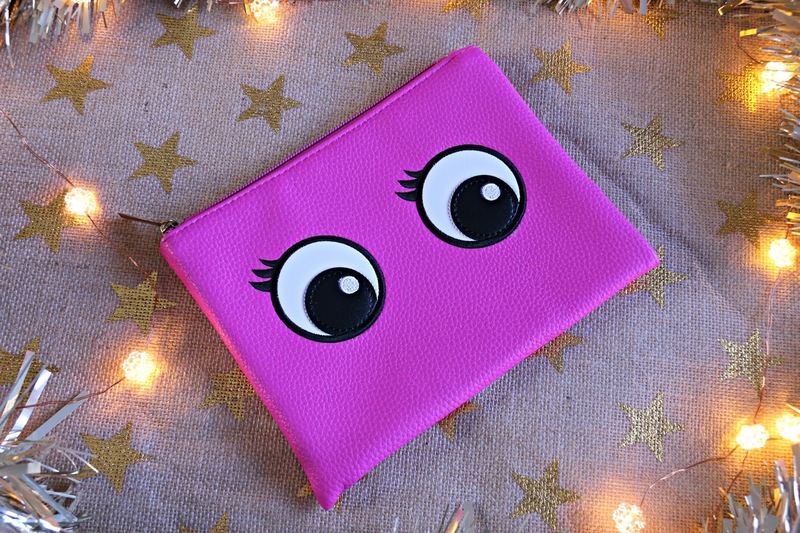 For more of a fun bag, the Googly Eyes Pouch is a great option, available in lots of different colours and shapes and for those who are trend conscious, I’d recommend the gorgeous distressed rose gold makeup bag. If putting together a gift isn’t for you, there are plenty of gift sets available on the highstreet for a really reasonable price. Sanctuary Spa online and at Boots have some of the best gift sets around. The Sanctuary Spa Explore & Let Go gift set is perfect for those who love to travel as it contains three travel sizes plus an exfoliating mit which are all great for getting your skin clean, smooth and prepped for a day tanning in the sun. Theres the Gentle Polish Body Scrub, Cleansing Burst Body Wash and the Silky Smooth Body Lotion. For a friend who loves having a mani pedi, then I’d recommend the Sanctuary Spa Treat & Let Go which contains their Velvety Hand Cream and Intensive Heel Balm. It’ll ensure that their hands and feet are kept moisturised and nourished throughout the winter and these are an ideal size for those who like to travel a lot too. 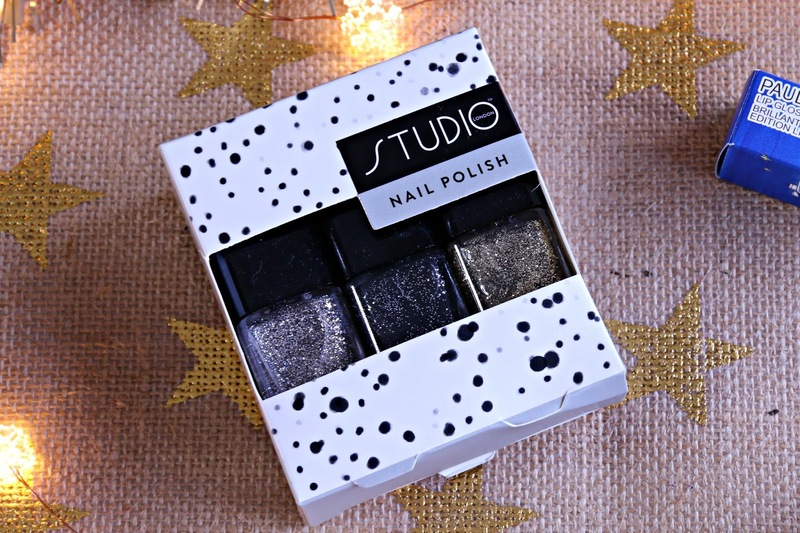 For the nail polish lover, check out Studio London in store and online at Superdrug. They have a great range of affordable beauty gifts including this sparkly nail polish trio and a 12 Days of Beauty Advent Calendar that you can open in the days leading up to Christmas; great for if you’re exchanging gifts with a friend early. For the friend who loves something fruity, the Fruity Duo Cube in Orange and Satsuma and the Fruity Bubble Bubble Bath Fizzer Gift Set make great presents. They’re fun, colourful and something that the whole family can use and enjoy. They’re really affordable at only £2 and £3 each and easy to wrap thanks to their packaging. Let’s face it, packaging that’s easy to wrap is ALWAYS a good thing! 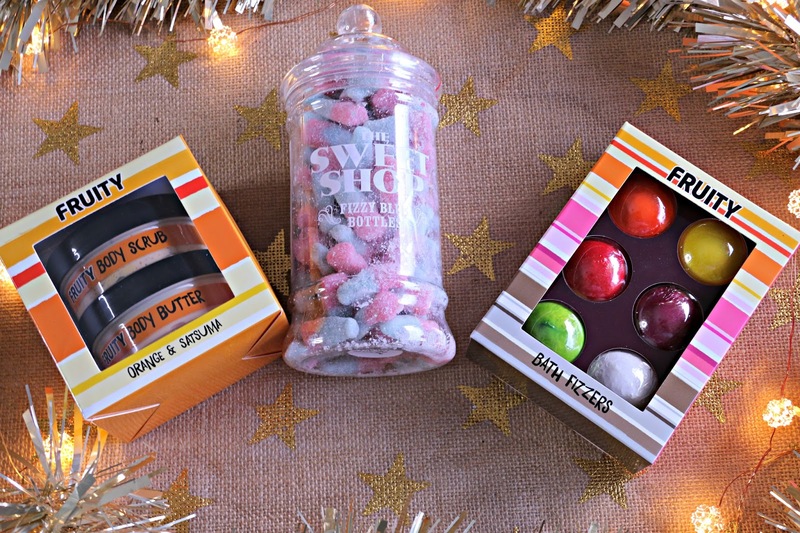 Similarly gifts of sweeties are always sure to be a hit and something everyone can enjoy. The Sweet Shop Fizzy Blue Bottles in particular are super yummy and come in a tub that could be reused after all of the blue bottle sweets have been eaten! 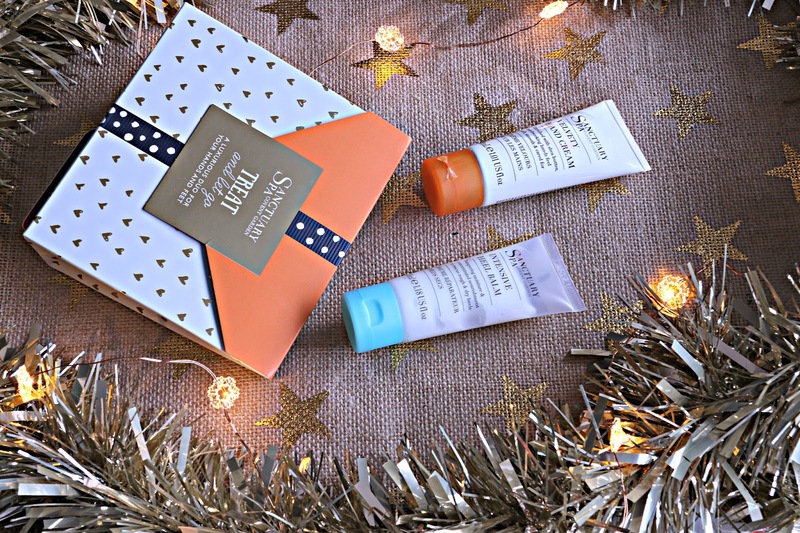 Buying a Secret Santa gift for a luxe lover can be tricky, especially if you have a small budget but with the new Roger and Gallet gift sets, you needn’t worry. They’re available in various scents including the stunning Fleur De Figuier which is one of my favourite fragrances from them. In the Roger and Gallett Fleur De Figuier Hand cream Mini Gift, you’ll get a hand cream and fragrance, packaged beautifully for only £6. 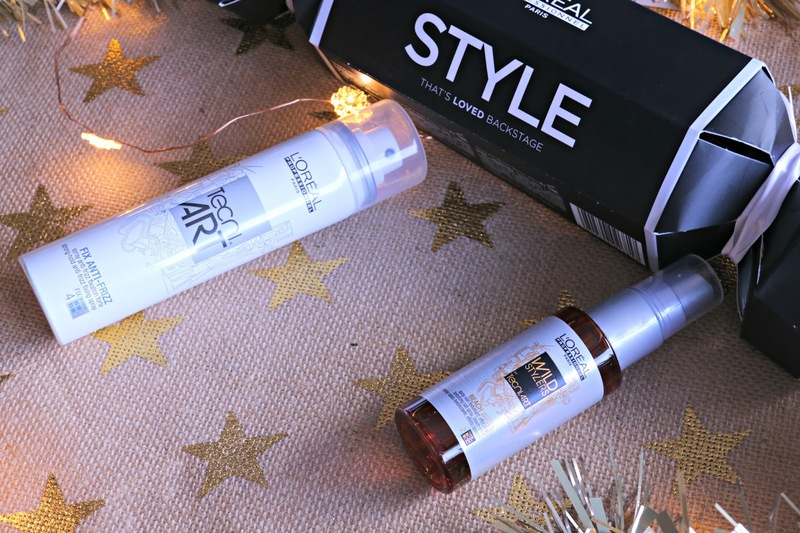 L’Oreal Professionnel are making it easy to give the gift of good hair this Christmas with their fabulous haircare crackers. At only £6.99, they’re an absolute bargain as inside each cracker, you’re getting two deluxe travel size products. These would make a fabulous gift and an even more fabulous cracker for a table setting on Christmas Day. Who wants a keyring you’ll never use and a paper hat when you can have professional haircare? 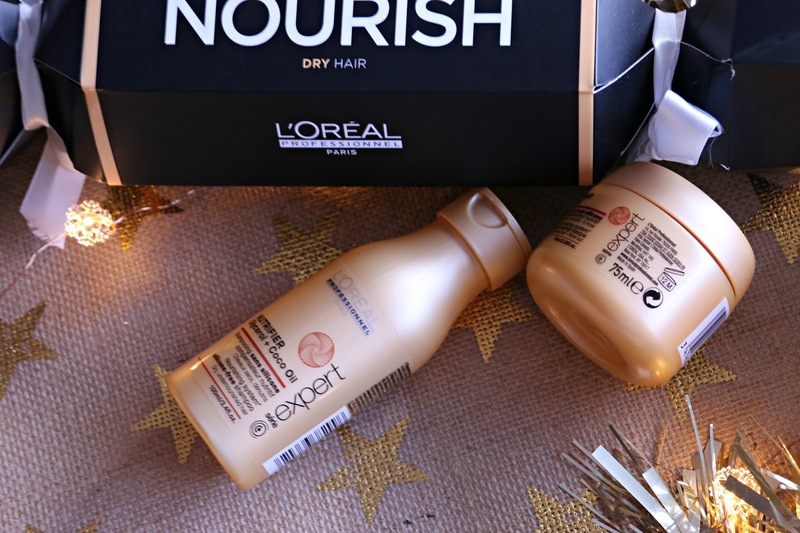 Nourish– for dry hair, containing Série Expert Nutrifier shampoo (100ml) and conditioner (75ml). This one is my fave, check out my review of the range here. 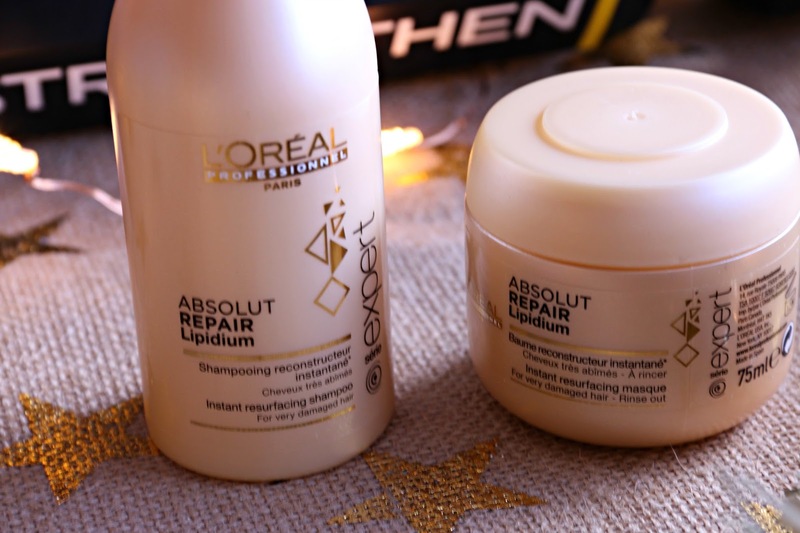 They’re available NOW from L’Oreal Professionnel salons. Find your nearest stockist here. 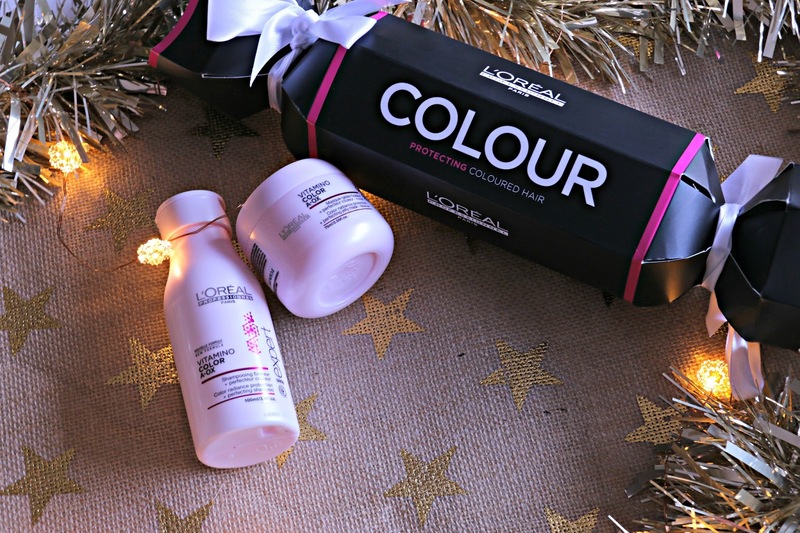 If you’re in the Sunderland area, I’d highly recommend booking in at Frances Marshall hair salon where the crackers are available to buy, or you can get one FREE when you have an in salon hair treatment while stocks last! One of my favourite types of gifts to receive is perfume as it feels so luxe and special. However you don’t have to spend a lot of money to buy a great fragrance gift. 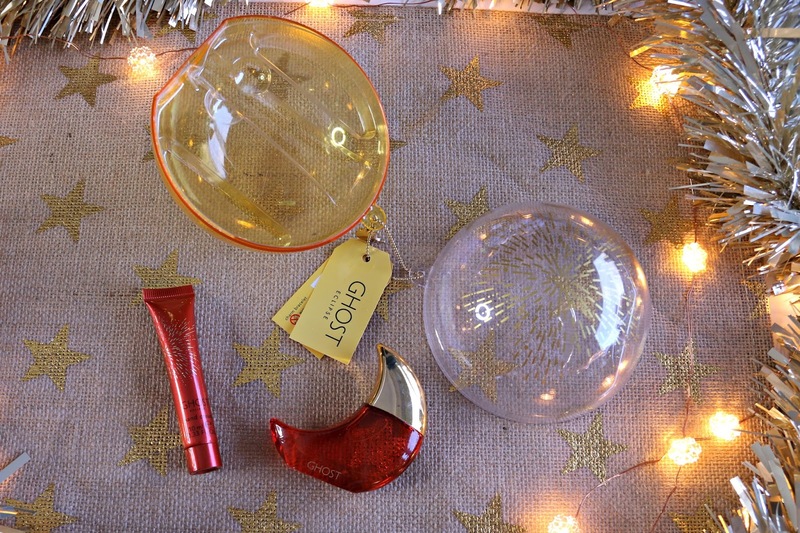 This year, Ghost have released a range of baubles with travel size products inside that make great handbag essentials or travel companions. They’re ideal for girls in their teens and twenties. 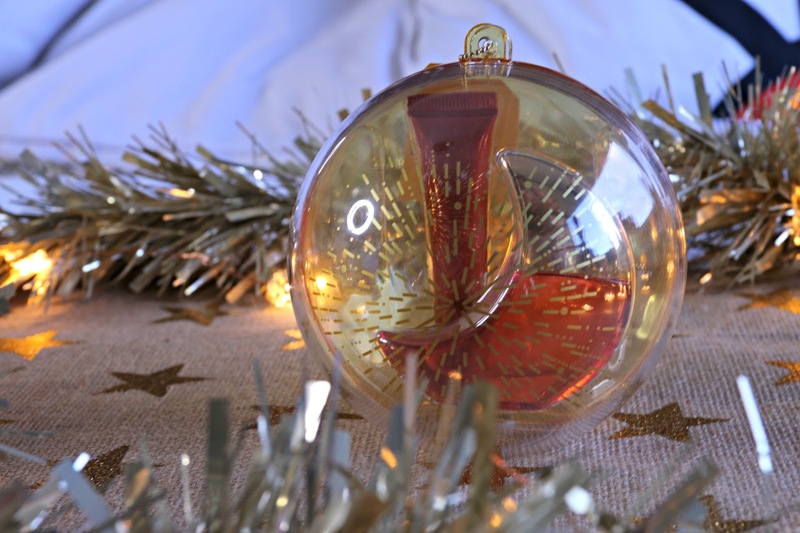 I have the Ghost Eclipse Eau De Parfum Christmas Bauble which is a pretty fruity, floral fragrance with a musk base. If you’re buying for a true makeup lover this Christmas, then the limited edition Paul and Joe Beauté Christmas Collection is fabulous; highly collectable, superb quality and beautifully wearable. Each of the shades are seasonally appropriate but they’re shades that would suit absolutely everyone so you can really buy with confidence, knowing that these products will suit anyone regardless of skintone and hair colour. 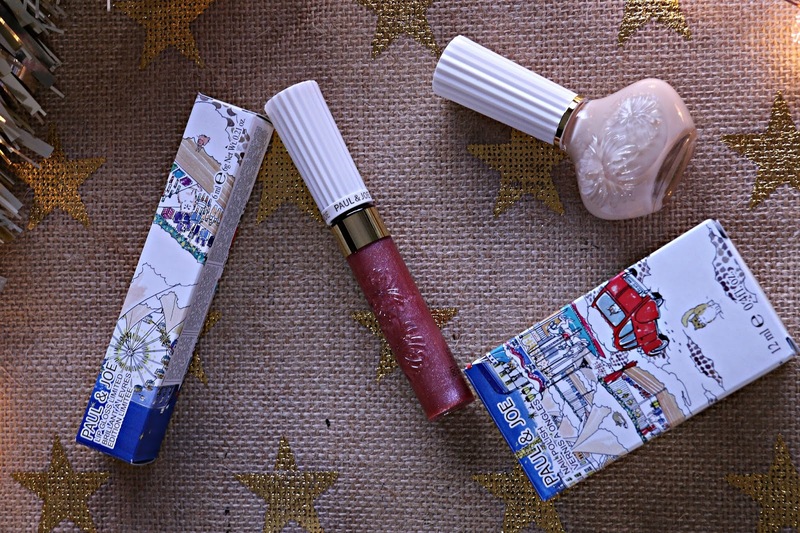 Amongst all of their products, the Christmas Lipgloss in Mulberry Spice and Christmas Nail Polish in Butter Pecan are my faves and at £12 a piece, they’re not quite budget but they wont break the bank either. These would be great for if you’re looking for one or two really high quality stocking fillers or your could pop them together in a tissue packed gift box to make a complete gift thats bound to be well received. When you just can’t think of what to get someone then you can’t go wrong with chocolate. Theres nearly always a sweet treat out there for everyone regardless of whether they like milk, white or dark chocolate or if they have any food intolerances. 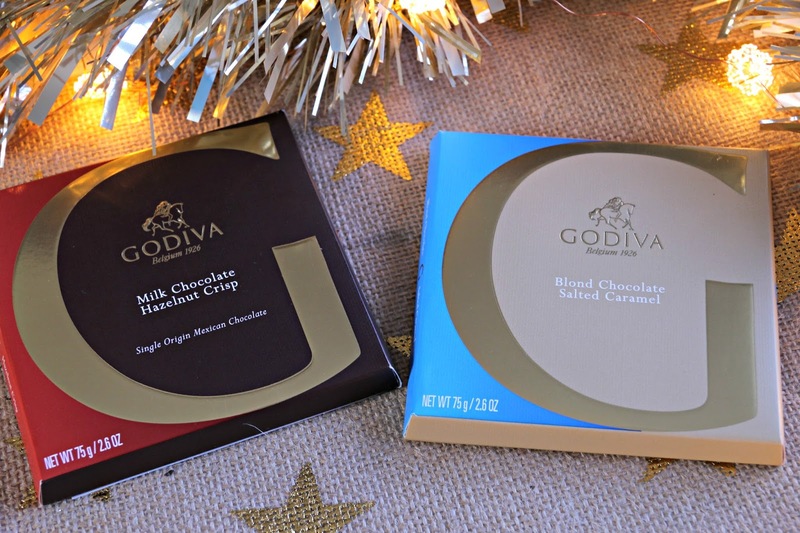 The shops are filled with festive themed chocolates that you can pick up for a few pounds but if you really want to treat someone then I’d recommend the Godiva Blond Chocolate Salted Caramel Tablet G which is part of a new range that they have brought out. This flavour is incredibly smooth and sweet but with a delicious salted caramel crunch to it. The Milk Chocolate Hazelnut Crisp is another crowd pleaser and a delicious sweet treat on a cold winters night with a hot cuppa. 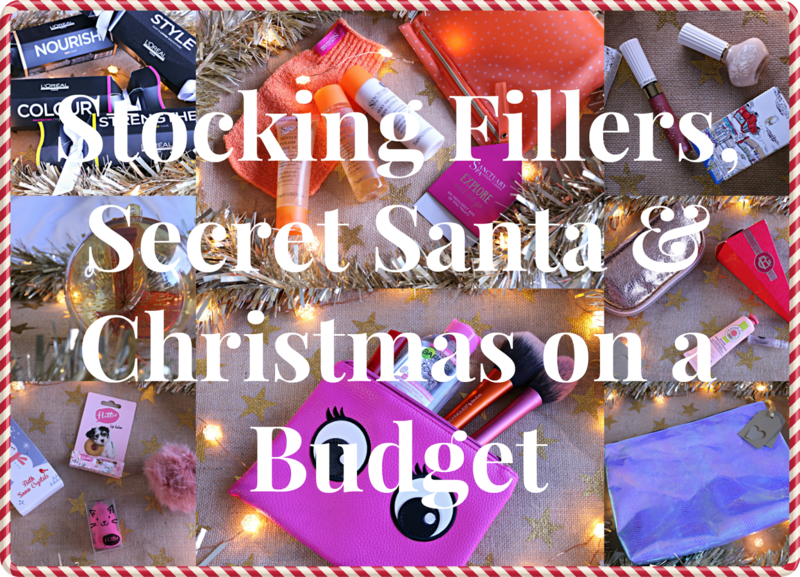 I hope that my gift suggestions have made shopping for stocking fillers, Secret Santa gifts and budget presents a little bit easier this Christmas! Which of these stocking fillers would you most like to receive? 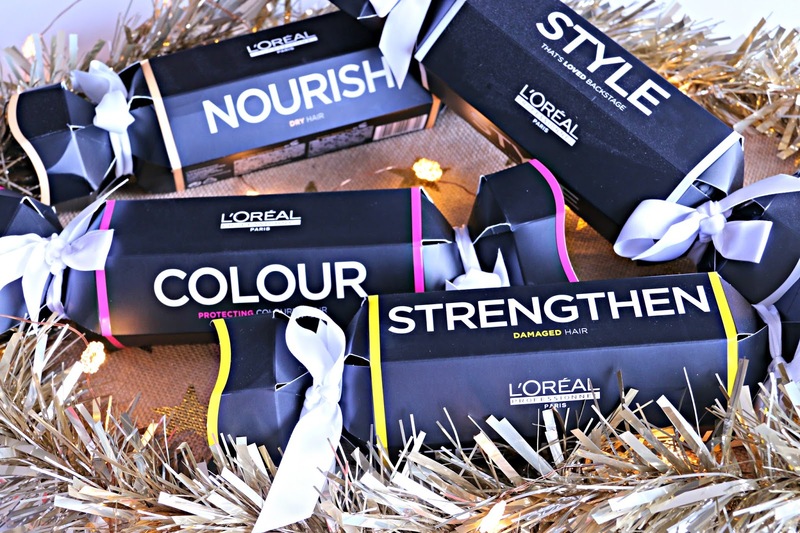 My family tends to go all out for Christmas but even so, I would love to get some of these in my stocking, especially the L'Oréal Expert cracker! I'm also really hoping I get a new festive Philosophy shower gel in there. And some chocolate of course! Ha! MMmm I love that chocolate! I tried some of the new Godiva salted caramel recently – gorgeous! wow!! So many great stocking filler ideas!! I love little makeup bags as gifts, they always come in handy and are always really appreciated! I love the beauty blending sponge too with the cat print on the packaging, its little details like that that make great stocking fillers! This is such a great post for ideas. 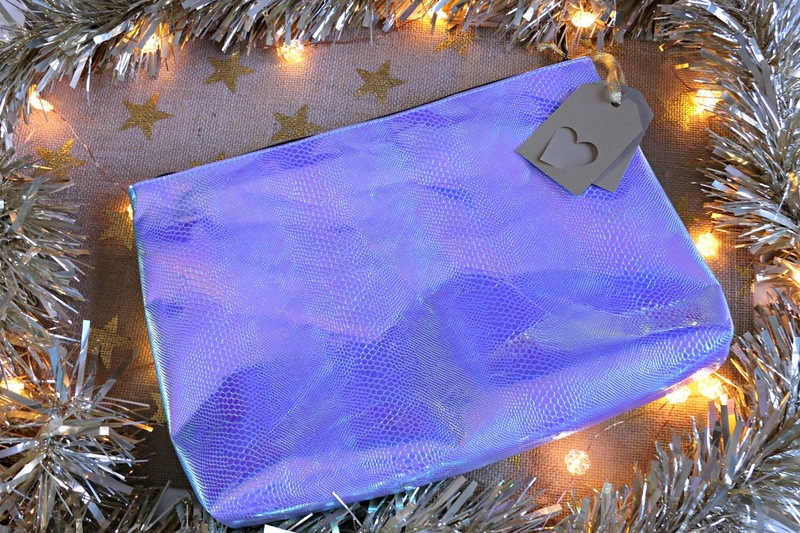 I definitely need that holo makeup bag – so cute! Some amazing gifts, they would be perfect as secret Santa. I love L'Oreal's range.